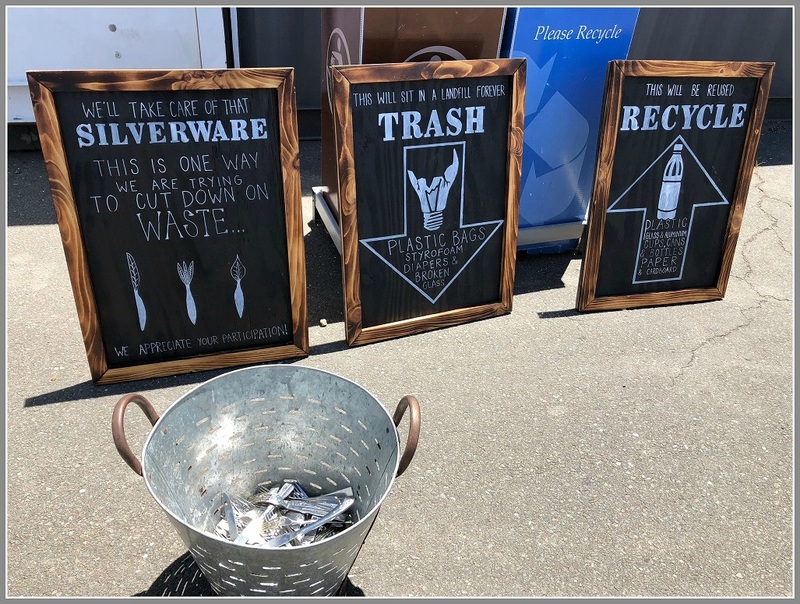 This entry was posted in Economy, Environment, Local politics and tagged 1st Selectman Jim Marpe, Connecticut Department of Energy and Environmental Protection, Greater Bridgeport Regional Recycling Interlocal Committee, New York Times, Recycling. Bookmark the permalink. 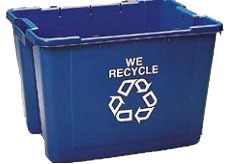 Westporters can help the problem by remembering the first two R’s – Reduce and Reuse, with Recycling being the last option. That means, cancel the catalogues you don’t need, eliminate as many ‘single use’ items from your life as you can (e.g. switch to a refillable bottle) and use dishes and silverware instead of disposables. That’s odd, I wonder why the First Selectman didn’t mention his administration’s suggestion at a Board of Finance budget meeting last week, that an annual fee perhaps be imposed upon Westport residents who use the Transfer Station to address this situation. I see a lot of senior citizens using that facility. The RTM Environment Committee was discussing this very thing last night. The basic problem is that our recycling is not clean. People throw all sorts of stuff in there spoiling the loads. Now the damage is done and we have to rework the whole system. Single stream got more people to recycle but it did not work as planned. The integrity of each type was harmed. Paper having bits of aluminum in it messed it up. I have a pet peeve – plastic bags in the recycling bins. It is posted NO PLASTIC BAGS on the recycling bins yet people still throw bags filled with plastic, glass and cans in the bin. STOP!!!! The bags destroy the mechanics of the recycling, slowing down the process and sometimes destroying a whole load. DO NOT PUT PLASTIC BAGS IN THE RECYCLING BINS. PLEASE!!!!! Better, don’t use plastic bags at all! Even better, DON”T USE PLASTIC BAGS AT ALL! I am in Canada right now and we were just commenting last night at dinner how significantly much more sustainably minded–“Zero Waste Bulk”–the country, restaurants, businesses and people are. Lessons to be learned from Niagara to Toronto. It’s not true that glass is contaminated, that’s a contra productive approach to sustainability. Glass is one of the few products that can be recycled over and over again. The problem is more the single stream recycling and that glass shouldn’t be mixed with paper and plastic. It might brake easier during the sorting process, that’s why it is more difficult to handle and the recycling companies prefer to go the faster and easier way > single stream for example. People have to get out of their comfort zone, even in the recycling industry. This sounds more like a lobbying aspect of the plastic industry. Q: Can glass be recycled? A: Glass alone makes up 5% of garbage in the U.S. It’s a shame if any glass container uses up landfill space because glass lasts forever. The long-lasting nature of glass also means that glass can be recycled forever. It never wears out as a raw material, so old bottles and jars can be remanufactured into new glass containers over and over and over again. I suspected single stream would be a bust. But I never thought I would see, with some regularity, used diapers in the mix. Houseplants aren’t that unusual either. No wonder the Chinese finally threw in the towel. “In 2018, China determined that US recyclables are too “contaminated” to be reused or repurposed, so that market has since ceased to exist (as well as in other countries such as India)”. That’s not true either, because it suggests that China doesn’t take US garbage because it’s as Marpe says “too contaminated”. Which means if it wouldn’t be contaminated they would take it. The fact is that China, as well as India and other countries in Asia decided not to be the dump for the rest of the world. This problem doesn’t only concern the US but the rest of the world. Germany and other European countries have exactly the same problem, they have to see how to handle their recycling problematic, now as the ‘garbage export game’ is over and they have to take care of their own garbage and can’t unload it anymore in other countries. Matthew’s comments are on point. Glass is often contaminated even by including bottle caps with the glass. However, markets still exist for glass, aluminum and paper/cardboard. It will take perhaps 10 years for companies like Oak Ridge (which purchased the recycling plants in Danbury and Shelton from longtime owner Winter Brothers and has made large capital investments in the technology for single-stream recycling) to adapt to new protocols.The RTM Environment Committee is working with the Public Works Director to develop new guidelines for consumer recycling and rewriting our town recycling ordinance in light of the current reality. Mrs Batteau, sorry, but it is not correct what you are saying and you are creating a wrong impression of certain recyclables. Mr Mandell didn’t say with one word in his comment that glass is contaminated, he said “The basic problem is that our recycling is not clean. People throw all sorts of stuff in there spoiling the loads”, he is talking about the mix and that people throw stuff in which doesn’t belong there. Also you remark “However, markets still exist for glass, aluminum and paper/cardboard.” gives wrong impression, as if the markets for these recycables are vanishing. These markets are growing, because glass, aluminum and cardboard belong to the purest recyclable materials. The only problem with glass is within the glass, when you mix different sorts of glass, as they have a different melting points, which makes it more complicated. The remaining aluminum cap is not a big issue. The plastic and only the plastic is the problem and will be the problem for generations to come. So please do your due diligence before you post these remarks, as they implement in the peoples head that glass or aluminum are problematic recycables. Is not recycled plastic used to make structures like playground in Compo Beach, Trex, Azeck, etc and the rails of many parks posts, garden platformsetc. Is not the polartec type outerwear also made of recycled plastic bottles in China and sold for markups? As for Glass is extremely recyclable roadways made out of recycled glass were found to be extremely durable. Recycled Glass bottles make great new bottles in various colors. Breaking them makes for easier transportation. Life is full of complications. That’s where smart people come up with new technologies. I’m betting on ingenuity! My German friends tell me that they have 5 to 6 different containers of government mandated recyclables and appropriate fines for violators (of which there are very few). In Florida they make giant mounds which I call Mount Saint Garbage. Some early ones have developed underground toxic plumes that threatens water. However I suppose that that can raise the land above the rising seas. Maybe? Our neighbors in Westchester County burn certain garbage at high temperatures and generate electricity. They then make and export the “frit”, their term not mine, of what is the residue of the burning trash. Aluminum does require a lot of energy to recycle but much less than to create it. And a lot less digging, pollution, desiel trucks and tractors, and open mining pits. Drive or fly through Arkansas where lot of the materials to make aluminum come from to see these pits first hand. can someone tell me why we still have newspapers being delivered. I can read on my Mac, iPhone or iPad. haven’t touched a paper in years other than to toss my wife’s fully, maybe partially, read NYT’s. The answer is that those who prefer to read a traditional newspaper pay to have them delivered. Instead of tossing it when our household is done, we pass it to our neighbor who loves the crosswords. And then she recycles it. How blessed we are who were raised by the Greatest Generation. How cursed we are to have to live with the leaders we have now.